Western Fertiliser Technology Pty Ltd specializes in the research and production of highly innovative liquid and solid-type fertilisers which improves quality and maximizes productivity of crops with optimal nutrition. Its leading-edge products and manufacturing systems has assisted Australian farmers to be globally competitive in broadacre and horticultural markets since 1991 as Western Nutrients, and from September 1997 as Western Fertiliser Technology Pty Ltd. Manufactures a full range of liquid fertilisers customised to the end user. 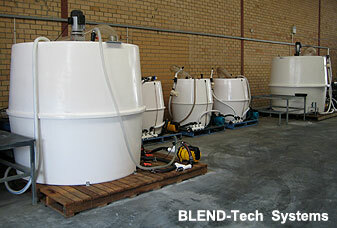 Manufactures a portable system of liquid fertiliser blending tanks (BLEND-Tech System) together with formulation advice for large-scale farmers and overseas fertiliser manufacturers for economical production of liquid fertilisers. 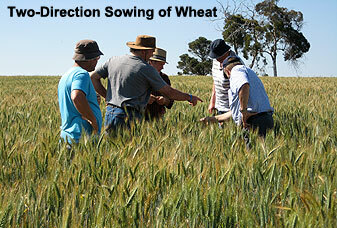 Crop nutrition advice for local and overseas clients through the new Grain Analysis System. The managing director is Mr Ronald Elton-Bott who holds a degree in Applied Chemistry from the Western Australian Institute of Technology, now Curtin University of Technology. He majored in organic, inorganic and physical chemistry, and completed a postgraduate diploma in Chemistry and project on vitamins. He also holds a diploma in Agricultural Technology from the Western Australian Institute of Agricultural Technology. Mr Elton-Bott worked as a chemist and research officer for many years at the Government Chemical Laboratories , now the Chemistry Centre of Western Australia. His extensive experience in nutrition and chemical analysis of fertilisers, grains, plants, soils and animal feeds during this time for the Department of Agriculture and Food, Western Australia included an appointment as a consultant chemist and agronomist in Seoul, Korea. Experience gained in large-scale manufacture of liquid fertilisers, and close liaison with Korean scientists from the Agriculture Department, in rice and vegetable nutrition, are key complements for the company. Mr Elton-Bott is a member of the Royal Australian Chemical Institute and a chartered chemist with 30 years experience. The company's mission statement "We are dedicated to provide the best modern agricultural technology available to our customers" has enabled the company in moving forward, introducing new technologies for agriculture in Western Australia. Western Fertiliser Technology Pty Ltd was the first to introduce the Grain Analysis System, the BLEND-Tech manufacturing system for liquid fertilisers; liquid lime; and on-furrow application of liquid nitrogen-sulphur and trace elements. For more information on our products, manufacturing technologies and consulting services, Contact Us.